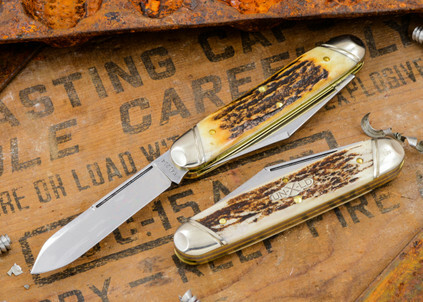 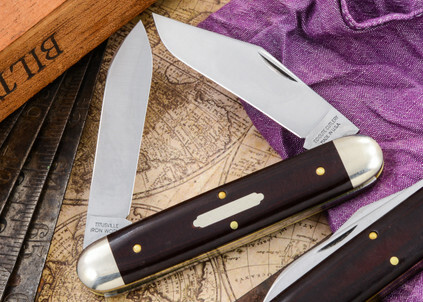 The Great Eastern Cutlery #54 is an "equal-end" pocketknife pattern -- technically a "cigar," and as executed in the #54 it becomes a solid, useful, do-anything knife. 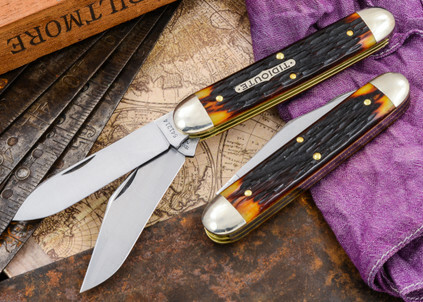 The #54 "Big Jack" version sets two large blades at the same end of the frame, while the #54 "Big Moose" places a blade at each end. 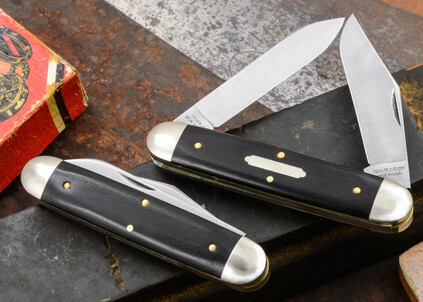 Either way, this Great Eastern model is one stout and handsome knife.